Culag Community Woodland Trust encourages and welcomes volunteers to come along and get involved. 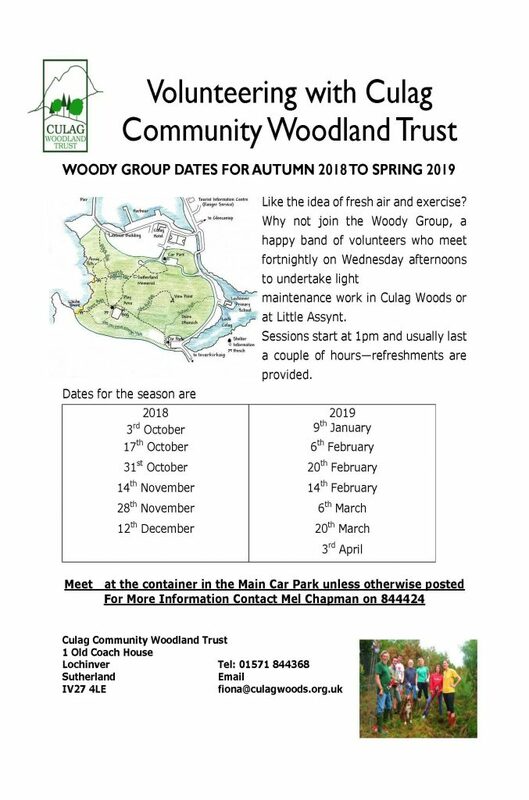 A great way to do this is to join the Woody group, a fortnightly gathering to undertake maintenance work in Culag Wood. It’s a fantastic way to learn about the woods and all that is involved, enjoy some fresh air and get some exercise. See below for dates, times and meeting point. Occasionally we might need volunteers to help us with special projects, such as the lichen surveying at Culag Wood in 2012. Projects will be advertised here as well as the News & Events page. Click Here for the information leaflet produced by the lichen survey team. To find out more about how you can get involved with the Trust visit the About Us page.